Because wrapping them like a caution tape mummy would be hilarious but rude. 1. A heat-resistant glove to help prevent painful burns when they bump a finger up against that curling rod they almost have the hang of using. One size fits for all and suitable for left and right hands. Designed only for heated hair tool operation; you can still feel heat but won't suffer a burn if you touch a very hot surface. 2. A genius splatter guard that'll turn frying bacon into a painless task. Get a 10-inch one from Amazon for $21.95. 4. Oven-rack shields because you can't let another meal prep sesh get foiled by bumping your wrist into a scorching oven rack. Includes three. Made of BPA-free, food-safe silicone. Can easily be cut to size. Get them from Amazon for $12.95. 5. Or a notched oven tool that'll pull out racks and push in dishes. 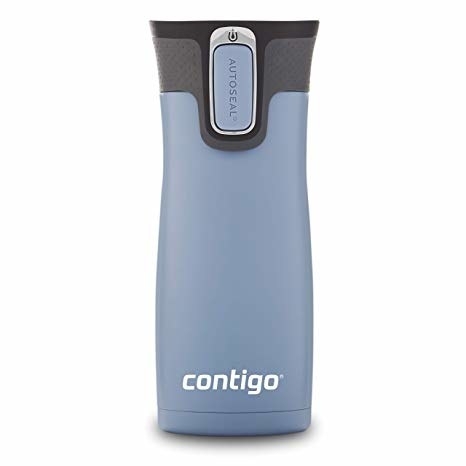 Made from silicone with a stay-cool handle that's heat resistant up to 645 degrees Fahrenheit. Use the side notches to pull the oven rack or edge of pans toward you. Use the notch on the end to push the oven rack or pan back into the oven. Hand-wash only. 6. A wearable nail-polish holder to help avoid spills and smudges, even if you're painting your nails in the car while someone else is driving. Get it from Amazon for $9.99 (available in 18 colors). 7. Or a bottle holder — it can rest on a flat surface and allow you to even tilt your bottle to get the last dregs of that limited-edition color. Get it from Amazon for $2.29+ (available in two colors). 8. Wine sippy cups that'll save them some dignity when you're all drinking out of these as a group, obviously not because the last time they were over they spilled red wine all over your couch. Lid with rubber gasket seal and an open/close slider to keep your wine in the cup. Has a large opening for easy filling and cleaning. Also, they won't shatter like wine glasses. Get a set of eight from Amazon for $24.99. 9. And a red wine stain remover to have JUST IN CASE because you never know! Promising review: "I've been using this product for nearly three decades — not because I keep spilling wine, but because this stuff will remove just about any kind of stain you can think of. It is easy to use and your carpet/rug, upholstery — just about any fabric (the company advises that you test Wine Away on an inconspicuous piece of fabric before using)." —J.P.P. 10. A travel mug with an auto seal because they've run out of people to sue for spilling hot coffee all over themselves. Leak- and spill-proof. 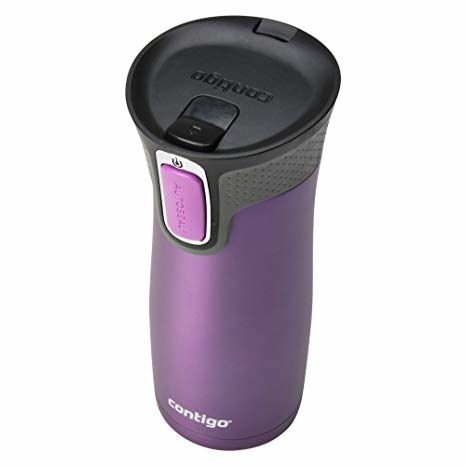 Drinks stay hot up to 7 hours and cold up to 18 hours with vacuum insulation. Get it from Amazon for $16.99+ (available in 16 colors, three sizes). 11. A bold doormat that'll remind them to *properly* wipe off their shoes and help prevent indoor slips! 12. Anti-slip stair stickers befitting the #1 pup who still hasn't gotten the hang of gracefully descending the stairs. But the v good boy still tries like the lil' pup that could. Peel-and-stick application with a texture that helps prevents slips for pups and humans alike. Mop to clean. 13. Anti-skid socks for when they want to venture across slippery hardwood floors to the fridge without risking a fall. 14. And some no-skid house slippers in case they want something a little more substantial on their footsies while scooting around the house. Get them from Amazon for $9.95+ (available in three colors, sizes S–L). 15. A ~groovy~ multipurpose grabber for heat-safe leverage when it comes to hot pans, microwaved dishes, hot hair tools, and so many other things around the house. This can be used as a hot pad, trivet, splatter guard, jar opener, place mat, pot grabber, food cover, and utensil rest. It's made of BPA-free silicone that's non-stick and dishwasher-safe. Get two from Amazon for $26.95 (available in five colors). 16. A water-resistant laptop case as a swap for their coffee-drenched one after one too many morning-bev accidents. Made of waterproof canvas fabric with a soft, shock-proof lining. Get it from Amazon for $11.99+ (available in three colors, five sizes). 17. A two-pack of ~useful~ Scotchgard so you can gift one to that friend and hang onto one for spill-proofing your home before they drop by for a visit. Get them from Amazon for $22.68. 18. A PopSocket to facilitate a better grip when taking selfies, texting while walking, and other phone-y activities that can be perilous to that mini computer you depend on for your damn life. Allows your hand to relax while securely holding your phone. Simply adheres to the back of your phone or case. 19. A waterproof case that'll withstand all sorts of extreme behavior, like toppling off a ski lift, falling into a white water rapid, or swiping on dating apps while on the toilet. Get this ~extreme~ case from Lifeproof for $67.49 and check out more products here. 20. A drawstring makeup pouch so you won't slip and fall on a rolling mascara tube, which is the new banana peel. Haven't you heard?! Opens up to a hexagonal shape of 19" x 22" and easily wipes clean. 21. A mini cord organizer for preventing a flipped computer monitor while in pursuit of a phone charger. If only I had a dollar for every time that *almost* loved. Get it from Amazon for $17.98+ (also available in black). 22. A ~bright~ power strip ready to twist in an out-of-the-way angle. It's all about preventing accidents before they can happen! A 4-foot extension cord with six outlets, and a flat, 45-degree plug to put power in hard-to-reach places. Get it from Amazon for $26.85+ (available in two colors). 23. Cut-resistant gloves, lest they make a Monty Python joke about how that gouge 'tis but a flesh wound before they pass out from blood loss. Besides, we hear chain mail can be ~quite~ unwieldy in the kitchen. Get them from Amazon for $10.99+ (available in sizes S–XL). 24. A ~graceful~ keychain as a means to embrace their inner Steve Urkel while they're working on their Stefan. Get it from Stay Home Club for $8 (also available as an iron-on patch). 25. A box of 100 ~celestial~ bandages to make boo boos look like they've disappeared into a black hole. Get them from Amazon for $6.64. We're all just trying our best!